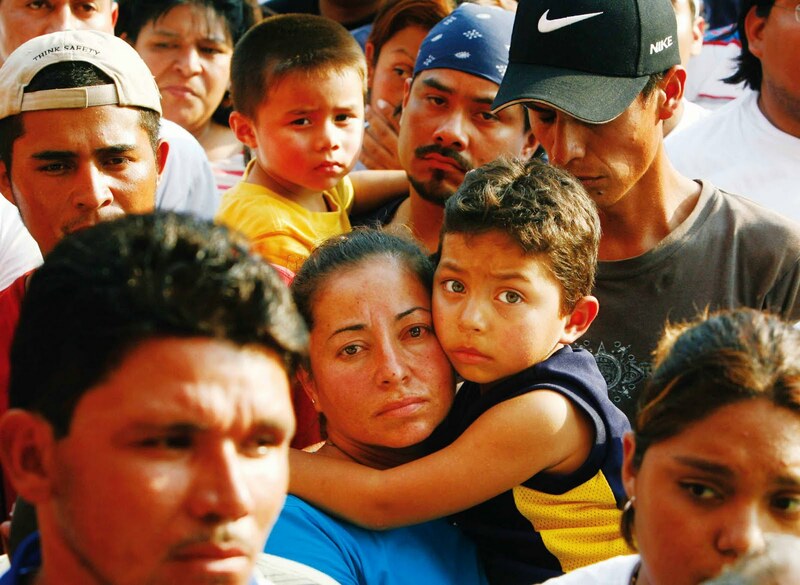 Back in January, you may recall that I wrote a post about immigration reform and had invited a guest blogger to write about immigration as well. Also that month, I wrote about the hospitals located in Latin America and the Caribbean that I saw at the Medical Tourism Association Congress last October. My purpose in writing those two posts was to tell people in the workers’ compensation and medical tourism industries that immigration reform was going to happen, that it could have an important impact on both industries, and that as far as the workers’ compensation industry was concerned, it would be a wise thing for them to consider medical tourism, especially to the “rising stars” of medical tourism in Latin America and the Caribbean, as the number of Latinos in the US is growing and more and more workers are of Hispanic descent, and because of immigration reform, more of them will become legal citizens able to come and go from the US to their countries of origin without fear of not being able to return or being deported once they did return. Now comes a report from New Hampshire, courtesy of David De Paolo’s blog, De Paolo’s Work Comp World, which says that a majority of immigrants to the US do not know that if they are injured on the job, they can get their medical care paid for by workers’ compensation. According to De Paolo, the New Hampshire Department of Health and Human Services (DHHS) reported that a recent survey of immigrants showed that most of them never heard of workers’ compensation. The participants in the survey were asked if someone in the US ever told them that their medical bills would be paid for by workers’ compensation insurance, if they suffered an injury on the job. If they said yes, they were told to write down who had told them about workers’ compensation. The report, Occupational Health Surveillance Immigrant Survey Report, conducted in February, indicated that 227 participants out of 366, or 62%, were not aware of workers’ compensation. Only 76 individuals, the report states, out of 126 who said yes to understanding workers’ compensation wrote down who told them about it. This included supervisors, human resources personnel, family members, friends, doctors, co-workers, teachers and the New Hampshire Coalition of Occupational Safety and Health (COSH) through classes on safety. Twenty-nine of the 366 participants said they had been injured at work, with injuries to common body parts such as hands, fingers, wrists, backs, knees, feet, elbows, and abdomen. The majority of these injured had been in the US for either 4-6 years, or more than 6 years. 17 of the 29, who said they were injured on the job, had lost time claims. 23 participants had told their supervisors about their injuries, 4 did not report because they left the job due to the injuries, a cut finger was not considered “serious”, one felt that if the injury was reported, “nothing would change”, and one said they would be fired. The report includes several tables and graphs detailing respondents work experience in the US, population change in New Hampshire from 1990 to 2010 by ethnicity, demographics, continent of origin, race and ethnicity, education, jobs they held in the US and other employment data, as well as knowledge of workers’ compensation, number of weeks out of work, who paid the bills, treatment of injuries, working conditions and safety at work, supervisor support, and if they experienced bad treatment. 182 or 50% of respondents said they now worked for pay in the US, whereas 135 or 37% said they never worked for pay in the US before their present employment. The population change in NH from 1990 to 2010 saw a decrease in the White population from under 100,000 in 1990 to 40,000 in 2010, while the Black, Hispanic, Asian population increased, but not as much as the White population decreased. There was a decrease however in the Other category from 1990 to 2010. The largest group increase was among the Hispanic population. The demographics showed that of the 366 immigrants, 41% were men and 58% were women (1% did not answer). The majority of respondents were between the ages of 21 to 60, with the 21 to 30 group representing 21%, the 31 to 40 group representing 24%, the 41 to 50 group representing 21%, and the 51 to 60 group representing 17%. The Under 21 group was 3% and the 60-plus group was 12%, with 1% leaving age blank. Most of the respondents indicated that their continent of origin was Asia (44%), followed by the Dominican Republic/Haiti/Cuba at 14%, South America at 11%, Central America at 10%, Africa at 11%, Europe and the Middle East at 4% each, and 1% blank. If you add the Dominican Republic/Haiti/Cuba, South and Central America, you get 35%, indicating that the second largest region of origin is Latin America and the Caribbean, something medical tourism facilitators for that region should be aware of. What does this mean for the Workers’ Compensation and Medical Tourism Industries? It should be fairly obvious that for the workers’ compensation industry, this report means that they have not done a good job of keeping up with the changing face of the American workforce, and have ignored the immigrant worker for far too long, so that many of them do not know that when they are injured on the job, they can get their medical bills paid for, and can be compensated for lost time from work, which would help them get them back on their feet and keep their families secure. It also means that labor unions and advocates for immigrants and workers have not done as good a job as they should have in getting the legal, and even the illegal immigrants the proper legal remedies they are entitled to under our laws. Perhaps it is fear that if the immigrants know about workers’ compensation, they will file more claims and thus raise their employer’s claims frequency, resulting in higher costs and premiums. Or perhaps they are afraid if they tell immigrants about workers’ compensation insurance, that somehow they will be deported for having made a claim. Whatever the reason is, it is quite obvious that there is a breakdown in communication between employer and employee, between unions and workers, between advocates for immigrant rights and the legal system and those they are dedicated to serve. When I did my internship for my MHA degree, the company I worked for had me check their database to update workers’ compensation rules and regulations regarding wall cards or panel cards that are required to be placed in an area of the employer’s workplace where workers can see it that will tell them what to do in case of an injury and how and where to file a claim, as well as to list any doctors chosen by the employer or insurer, or the state work comp agency that the claimant must use. It should be mandatory for all states to post wall cards, even if that state does not require a panel of physicians to be posted. The wall cards should be written in several different languages, depending on the predominant ethnic and language groups in the particular state. Allow advocates of the poor and immigrants, such as churches, unions, and advocacy groups to file claims for those injured immigrant workers who are too afraid to report claims to their bosses, or don’t know how to file, or who to trust. This should be in conjunction with legal personnel versed in the state’s workers’ compensation laws. As for the medical tourism industry, this is an opportunity for the industry to step out of the shadows and open up to an underserved market of recent immigrants to the US from many of the same regions of the world in which the medical tourism industry is already sending Americans overseas for less costly and better quality healthcare. It is also an opportunity for the medical tourism industry to move away from being solely a province of affluent or middle class patients, and help serve those at the bottom of the social scale to get the same quality care the affluent and middle class are getting in medical tourism. I have written some on the region more than a third of the respondents said they came from, Latin America and the Caribbean. With the majority in the survey saying they are from Asia that would mean that medical tourism could be implemented in workers ’ compensation by facilitators and destinations already providing medical care services in Asia, Latin America and the Caribbean. So it would not mean that they would have to do anything different than what they are already doing, just doing so for a different patient population. It would require training and educating all levels of medical tourism to understand the difference in treating patients who are coming for care because they cannot get or afford such care back home, from those who get injured on the job and need care coordination, utilization management and review, and aftercare. But most important, it would require a change in direction for those facilitators and medical tourism destinations that only serve the well-to-do or middle class client. It is apparent from the New Hampshire report that there is a serious problem in this country with regard to the awareness and knowledge of the laws and rights workers have when they are injured on the job. It was more than 100 years since the Triangle Shirtwaist Factory fire that took the lives of over 100 young women and girls, many of them Italian and Jewish immigrants, not unlike the immigrants of today. Every state in the union eventually passed workers’ compensation laws as a result of that tragic fire, and workers won other rights such as unemployment insurance, the right to join the union of their choice as my grandparents did, the right to strike and collective bargain, and the right to have a decent retirement paid for by money they and their employers put into pensions and social security funds. All that is being, or has been lost or eroded over the past forty years, and there are people today in this country who would like nothing more than to eliminate all the gains workers have made in the last one hundred years. The survey indicates just how fragile these gains are, because if future workers don’t know they have these rights; then it is much easier for the opponents of these reforms to get rid of them altogether and claim they never existed. The threat this survey poses to workers, employers and the workers’ compensation industry is not as great as the opportunity it affords for better workers, better productivity and less time lost from accidents on the job, and even lower claims costs if medical tourism is added to the mix. The threat to the medical tourism industry from this survey is minimal, since right now it mainly deals with patients who can afford to go abroad or whose insurance companies will allow them to do so. The opportunity it represents is enormous, so it is in the best interest of all parties that the medical tourism and workers’ compensation industries work together, so that all patients can get the best and most cost-efficient healthcare available. This entry was posted in Immigrant Workers, Immigration, Immigration Reform, Legal Immigration, Medical Tourism, Undocumented, Workers' Compensation and tagged Immigrant Workers, immigration, Legal Immigrants. Immigration reform, Medical Tourism, Undocumented, Workers' Compensation on March 28, 2013 by Transforming Workers' Comp. Workers’ Compensation, like other employee benefit programs, continues to be a major expense to most employers, says advisor Tom Bone in an article published today by Insurance Thought Leadership.com. The article, The Changing Insurance Marketplace and How It Can Affect How Employers Manage Costs, describes how decision makers are always looking for ways to better manage their costs, but sometimes containment is out of their control. As an aside, Insurance Thought Leadership has published my White Paper in serial format, as well as a few other earlier blog posts, so I highly recommend them. You can read them on their website or go to my LinkedIn profile and look under Publications. Mr. Bone also says that employers who have had a series of injury claims, or even one large claim, have experienced greater increases in their workers’ compensation premiums, because of the way their Workers’ Compensation Experience Modification calculation was changed. This has led many employers in the US to consider using a Professional Employer Organization (PEO) or employee leasing organization. A PEO is an arrangement where an employer transfers their employees to another organization who then “leases” them back to the original employer. This usually relieves the employer of managing employees, handling payroll and employee benefits and HR functions, but the employer is considered a “co-employer”. Workers’ compensation insurance, like other employee benefits programs, continue to be a major expense to most employers. Late last year, the workers’ comp market began to change and insurance companies began to raise rates and become more selective about which employers they would keep or consider as new customers. As a result of these premium increases, there has been a move by employers to seriously consider a Professional Employer Organization (PEO) to take the place of their workers’ comp and employee benefits programs. Employers who are historically financial losers to the insurance industry are also financial losers to the Professional Employer Organization organizations. It can no longer be assumed that a Professional Employer Organization is always a viable alternative to employers who are not controlling their cost of work injuries. What this all has to do with medical tourism will be clear once you see some of the changes Mr. Bone recommends that employers should make, in order to avoid a history of frequent or costly work-related injuries so that employees will not become “patients” of the workers’ compensation medical system. Unfortunately Mr. Bone left out one or two more changes employers can make. Implement or have your insurance carrier, implement medical tourism to select medical tourism destinations through experienced and reputable medical tourism facilitators, or if unable to do so because of state laws and regulations. or get your state legislators to change the rules and regulations regarding workers’ compensation secondary level care, so that employers can realize greater savings from most surgical procedures common to workers’ compensation injuries, and to provide the same or better quality of care. A PEO may save an employer some money in the beginning of the claims process because the injured employee is their concern, not the original employer’s (co-employer) concern, but if medical tourism is implemented down the road for non-emergency cases, at a secondary care level, both the co-employer and the PEO can save money. And in addition, the employee can benefit from recuperation in a relaxed setting, and even possibly in their home country if they have ties to medical tourism destinations in the Caribbean and Latin America, as more workers in the US will be of Hispanic descent. This entry was posted in Claims, Claims Process, Health Care Costs, Medical Tourism, Professional Employer Organizations, Workers' Compensation and tagged Claims, Costs, Medical Tourism, PEO, Professional Employer Organizations, Workers' Compensation on March 27, 2013 by Transforming Workers' Comp. Compounding and Medical Tourism: What to watch out for. 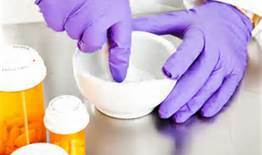 After a short hiatus, I am back to writing, and today’s post concerns another issue that is plaguing the workers’ compensation industry in the US, the compounding of drugs. Joe Paduda, whom I have mentioned before, wrote today about the problem in his Managed Care Matters blog. The article, entitled, Just how dangerous Is compounding?, says that compounding is much more dangerous than compounding pharmacies and their supporters have led the workers’ compensation and health care industries to believe. He cites a Washington Post investigation that reported that shoddy practices and unsanitary conditions at three pharmacies have sickened and killed patients. What has happened in California, Paduda says, can be used to forecast the future for compounding in other states. Just like the prescribing of opioid medications, the compounding of drugs is a serious issue that medical tourism industry personnel need to be aware of, especially if they are going to pursue patients injured on the job from the U.S.
One needs to have their eyes open to the possibility that drugs prescribed for patients by doctors will be compounded by pharmacies, and that those drugs have been the cause of injury and death to patients. As Joe rightly points out in his blog, there are scoundrels and charlatans around, and especially in workers’ comp, their last refuge. This entry was posted in Compounding, Drugs, Health Care, Health Care Costs, Medical Tourism, Pharmacies, Workers' Compensation and tagged Compounding, Drugs, Health Care, Medical Tourism, Pharmacies, Workers' Compensation on March 26, 2013 by Transforming Workers' Comp. Today’s second post is courtesy of Maria Todd, CEO of Mercury Healthcare International. 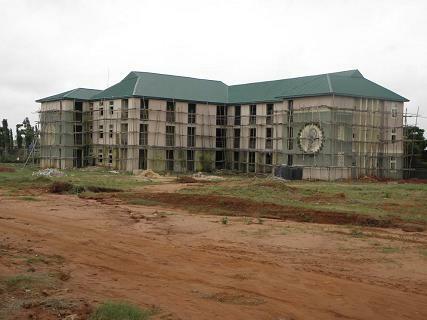 While her article is about hospital development in Africa, specifically the work she is doing in Nigeria, it is instructive on how hospital development in other regions of the world are laying the groundwork for the expansion of medical tourism. Being an expert in medical tourism and healthcare, Maria has made a name for herself, which is why she takes on such a daunting challenge as hospital development in Africa. Perhaps one day, Africa will be known as a shining example of medical tourism, and she and her company will have made it possible. This entry was posted in Africa, Health Care, Hospital Development, Hospital Financing, Medical Tourism, Nigeria and tagged Africa, Construction, Development, Financing, Hospitals, Medical Tourism, Nigeria on March 15, 2013 by Transforming Workers' Comp. This white paper would not have been possible without the inspiration, enthusiasm, encouragement, and guidance of Kristen E.B. Montez, Esq., the Director of Legal and Regulatory Services of Satori World Medical in San Diego, CA. It was Kristen who answered my call on LinkedIn.com for assistance with a topic to write for my Health Law class. Her knowledge and experience in the area of medical tourism as a published writer on the subject was not only very valuable, but also very much appreciated. Her desire to assist me in writing it, and in suggesting that I get it published, is something that I did not expect, nor imagined when I placed the online posting. She is a remarkable individual, and it is my pleasure to have connected and collaborated with her on this project. My thanks to her for putting up with my initial reservations, and my rather wordy writing style. This entry was posted in Legal Barriers, Medical Provider Networks, Medical Tourism, Workers' Compensation and tagged Legal Barriers, Legal Issues, Medical Provider Networks, Medical Tourism, Workers' Compensation on March 15, 2013 by Transforming Workers' Comp. I noticed a discussion today on one of my LinkedIn discussion groups, Regional Third Party Administrators. The discussion was from another blog on Payerfusion.com. The blog stated that hospital spending is the key driver of healthcare costs in the US and has been growing at nearly 5% year over year. One cause of this consistent increase in spending is the continuing consolidation of hospitals around the country. This increase in consolidation, the blog goes on to say, has given some merged hospital systems oligopoly power to impose fees that are far higher than those found in areas with high market competition. 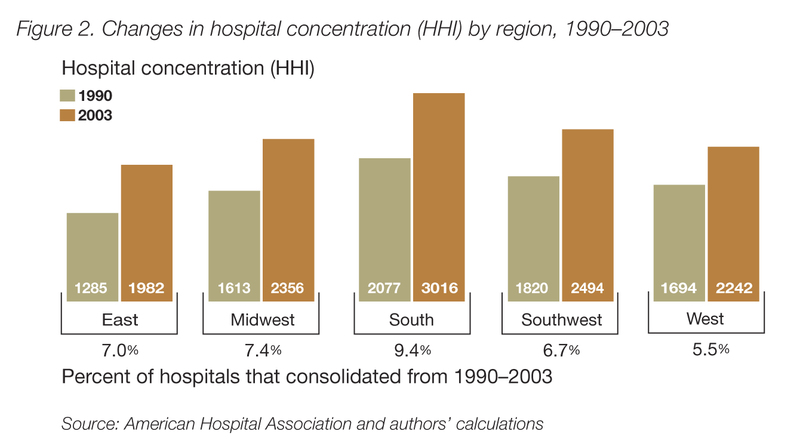 Statistics show that hospital consolidation in highly concentrated markets have driven prices up by as much as 40%. Because they have increased market power and leverage, hospitals charge private payers higher prices and are more successful in “cost-shifting” as a result of providing underfunded care. Studies show that stand-alone and community hospitals typically receive payments from private payers which are closer to Medicare/Medicaid fees. Increases the price of hospital care. Increases in price due to hospital consolidation are largely passed onto consumers through higher premiums, higher deductibles/co-pays and even lower wages. Reduces quality of care, through decreased market competition. The focus of hospital consolidation is on reducing competition to increase market bargaining power when dealing with insurers. This reduction in competition also has an impact on quality and patient choice. Consolidated hospital systems may be less motivated to offer innovative, efficient methods and improvements to care quality in order to attract new patients. Consolidation hasn’t lead to lower costs or improved quality. Integration of merged hospitals may lead to enhanced performance through achieving efficiencies, greater coordination and revising processes to unify entities. Consolidation alone only combines multiple entities under one group to increase market power, not necessarily fusing them together for improvement. What this means to the medical tourism industry, the workers’ compensation industry and to the overall health of the American health care system is this; it will mean a boon for medical tourism, and and a nightmare for the workers’ compensation industry if they don’t consider implementing medical tourism into workers’ compensation and realize real cost savings with better quality of care for their insureds’ injured workers. This entry was posted in Health Care, Health Care Costs, Health Care Reform, Medical Tourism, Quality, Workers' Compensation and tagged ACA, Consolidation, Health Care, Health Care Costs, Hospitals, Medical Costs, Medical Tourism, Quality of Care, Workers' Compensation on March 10, 2013 by Transforming Workers' Comp. I thought for my official thirtieth post, I would write a primer on workers’ compensation for the medical tourism industry, so that if any medical tourism facilitators or medical tourism companies, destinations, etc., wanted to get into the workers’ compensation arena, they would have a basic understanding of some of the terminology found in workers’ compensation. I carefully avoided using any terms that were too technical, too legal, or too involved with Insurance and related aspects of workers’ compensation. But I also wanted to get as much information from as many sources as I can. I found glossaries from state workers’ compensation agencies in California, New York and Oregon, as well as a glossary of abbreviations from a workers’ compensation blog of a law firm in Minnesota. So without further ado, I give you the primer on workers’ compensation terms. Study it well, there may be a test afterward. Accident: An event that results in personal injury to a worker. Accident Date: The date the accident occurred or the date of onset of occupational disease. It is usually established by a Law Judge. Accident, Notice and Causal Relationship (ANCR): Minimal conditions that must be met before responsibility can be assigned, usually financial, to a claim for workers’ compensation. It must be established that: a) a work-related accident occurred, b) the claimant notified his/her employer within time limit, and c) that a causal relationship exists between the accident and a resulting injury or disability. Arising out of and in the Course of Employment: An injury that “arises out of” is one that results from a hazard of the employment, while an injury “in the course of employment” is one that occurred at a time, place and under circumstances related to the employment. Note: Claims have been disputed over this issue, depending upon the definition of “in the course of employment”. An example of such a dispute would involve whether or not, an injury suffered while walking to work from a private parking lot to the place of employment is covered, while an injury suffered while walking to work in a parking lot owned by the employer is covered. There are some issues with whether those injuries are covered, even though the parking lot is part of the employer’s property, the lot may not be controlled by them, and therefore not subject to the “in the course of employment” criteria. Average Weekly Wage (AWW): Wage used to calculate total disability benefit rate for most claimants. Defined as 1/52 of injured worker’s average annual earnings. Cause of Accident: Object, substance or condition that directly contributed to the occurrence of an accident. Claim: A request for worker’s compensation for a work-connected injury, occupational disease, disablement, or death. Claimant: A person who files a claim for occupational disease or injury benefits. See my last post, By Any Other Name, for a discourse on the faux dichotomy between claimant and patient. Claims Adjuster: Insurer representative who processes a claim filed by an injured worker. See also, claims examiner. Compensable Injury: An accidental injury, arising out of and in the course of employment requiring medical services or resulting in disability or death. Controverted Claim: A claim challenged by the insurer on stated grounds. Disability: Sometimes confused with impairment (see Impairment). Disability represents how an impairment combined with person’s age, educational background, vocational background and other factors affect an injured workers’ ability to return to work. Employee: A person whose work activities are under the control of an individual or entity. Employer: see also Insured Employer: Any person who contracts to pay for work or services, with the right to direct or control the work or services of a person. Exclusive Remedy: The premise on which the Workers’ Compensation system is based: workers give up the right to sue the employer in exchange for medical care and for payment for their injuries. First Report of Injury (FROI): A specific form that an employer must fill out following an injury. Hearing: Legal proceeding in which a worker’s compensation judge discusses the issues in a case or receives information in order to make a decision about a dispute or a proposed settlement. Impairment: A medical term often confused with disability. Impairment is what is anatomically or physically wrong with an individual and is a means where the medical care provider assigns a numerical rating for whatever type of bodily function has been lost. Impairment Rating: A percentage estimate of how much normal use of a person’s injured body part has been lost. Ratings are determined based on guidelines published by the AMA. Independent Medical Exam (IME): A medical examination of an injured worker by a physician other than the worker’s attending physician performed at the request of the insurer. Independent Medical Examiner (IME): Individual who performs the independent medical examination. Also called a qualified medical examiner in some states, namely California. Insured Employer: An employer who has workers’ compensation insurance to cover work injuries of subject workers. Insurer: An insurance company authorized to transact workers’ compensation insurance, a self-insured employer (see Self Insured), or a self-insured employer group. Most states in the US allow commercial insurance companies to sell workers’ compensation insurance policies in their states, but a few are monopolistic states, such as North Dakota, Ohio, Washington and Wyoming. The competitive states also report their policy and claims and other data to advisory organizations (formerly called rating bureaus) such as the National Council on Compensation Insurance (NCCI) and certain state-run rating bureaus who determine insurance rates for workers’ compensation insurance based on data submitted to these organizations on a pre-determined schedule and under certain reporting requirements. Lost time: A period of total wage loss and loss of earning capacity, beyond the statutory waiting period (see Waiting Period), caused by the claimant’s work-connected disability. In workers’ compensation, lost time claims are the claims most likely to require additional medical care and treatment beyond what is generally provided for claims that are medical-only (see Medical Only). Maximal (Maximum) Medical Improvement (MMI): An assessed condition of a claimant based on medical judgment that (a) the claimant has recovered from the work injury to the greatest extent that is expected and (b) no further change in his/her condition is expected. A finding of maximum medical improvement is a normal precondition for determining the permanent disability level of a claimant. Medical Fee Schedule: A schedule, usually established by the state workers’ compensation agency, such as New York’s Workers’ Compensation Board, of the charges and fees for medical treatment and care furnished to workers’ compensation claimants. Medical-legal report: A report written by a doctor that describes the claimant’s medical condition. They are written to help clarify disputed medical issues. Medical Only: A workers’ compensation claim that does not result in time loss or permanent disability but requires only medical treatment. Medical Provider Network (MPN): An entity or group of health care providers set up by an insurer or self-insured employer to treat workers injured on the job. Modified Work: A modification to an injured worker’s job duties or work schedule to accommodate the physical limitations resulting from the injury or disease. National Council on Compensation Insurance (NCCI): An association of workers’ compensation insurers which serves as the workers’ compensation rating organization in about two-thirds of US states. The group establishes standards for use in rate making, develops policy forms, collects statistics, and provides statistical support and services. Objective findings: The indications of injury or disease that are measurable, observable, and reproducible, used to establish compensability and determine permanent impairment. Occupational Disease: A disease or infection, arising out of and occurring in the course and scope of employment. It is caused by substances or activities to which an employee is not ordinarily subjected or exposed other than during employment and requires medical services or results in disability or death. To be considered an occupational disease, there must be some recognizable link between the disease and some distinctive feature of the worker’s job. Occupational Health and Safety Administration (OHSA): Federal agency that oversees workplace safety and health in federal offices and in states without state OSHA programs. Occupational Illness: Any abnormal condition or disorder, other than one resulting from an occupational injury, caused by exposure to environmental factors associated with employment; it includes acute and chronic illnesses or diseases which may be cause by inhalation, absorption, ingestion or direct contact. Occupational Injury: Any injury, such as a fracture, sprain, amputation, etc., which results from a work accident or other exposure involving a single accident in the work environment. Permanent Impairment: The permanent loss of use or function of a body part or system due to a compensable injury. Permanent Partial Disability (PPD): Permanent loss of use or function of any portion of the body. It is the benefits a worker receives when the injury partially limits the kinds of work they can do or their ability to earn a living. Permanent Total Disability (PTD): The loss of use or function of any portion of the body in combination with any preexisting disability that permanently prevents the worker from regularly performing gainful and suitable work. Also the benefits a worker receives when they are permanently unable to work. 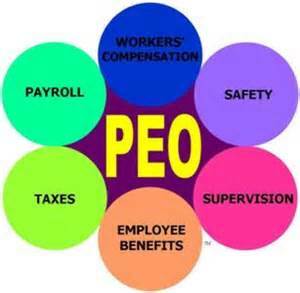 Professional Employment Organizations (PEO): Term used to refer to worker leasing companies. Workers are leased out to companies for the purposes of not having to pay benefits and wages directly to workers, and are hired by the leasing company so that the worker’s employer is considered the leasing company, and not the company who leases them. Return to Work (RTW): Programs implemented to return an injured worker to his place of employment as soon as medically possible. 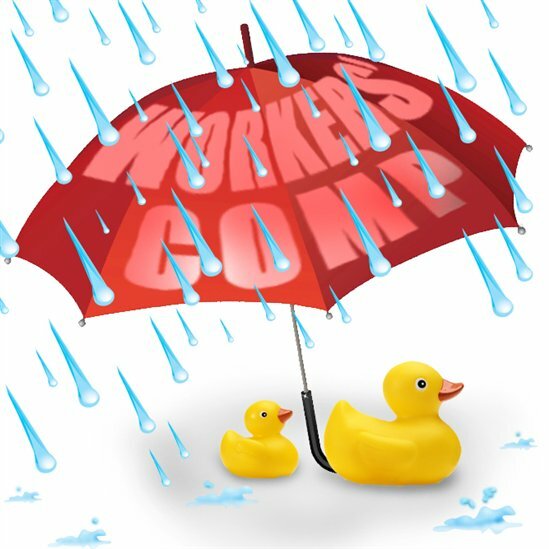 Self-Insurance: An employer or group of employers may assume the liability for the payment of workers’ compensation benefits to employees by depositing securities or a surety bond in an amount required by a state workers’ compensation agency. Self-Insured: Also called self-insured employer. An employer that directly assumes financial and processing responsibility for workers’ compensation benefits rather than purchasing an insurance policy. A self-inured employer must meet certain financial qualifications and be certified by the appropriate state workers’ compensation agency. Temporary Partial Disability (TPD): Means that the injured worker is only able to do some type of limited work for a short period of time and that further recovery is expected. It is also the payment for wages lost when a worker is only able to perform modified or part-time work because of a compensable injury. Temporary Total Disability (TTD): Means that a person is unable to do any type of work for a temporary period of time. Workers’ compensation payments are usually paid when the injured worker is out of work. Third Party Administrator (TPA): A company contracted by a self-insured employer or insurer to administer its workers’ compensation claims. Also called Claims Administrators, Claims Management firms, or service companies. Vocational Rehabilitation: Benefits given to injured workers who cannot return to their previous employment due to their permanent disability. The worker is provided with job training and job placement in jobs suitable for persons with limitations. Waiting Period: Depending upon individual state law, the waiting period is the period before payments for workers’ compensation benefits begin. In some states, this could be three days, or as in the case of New York, seven days, or maybe ten in other states. Workers’ Compensation Board (WCB): State agency in some states, such as New York, that administers Workers’ Compensation laws, as well as other related laws such as Volunteer Ambulance Workers’ Benefit and Volunteer Firefighters’ Benefit laws, and the Disability Benefit law. Workers’ Compensation Law Judge: In some states, also called a Workers’ Compensation Administrative Law Judge or Administrative Law Judge. An official of the state agency that administers workers’ compensation laws in that state who holds hearings to determine claims and makes decisions and determinations of the claim. This entry was posted in Medical Tourism, Workers' Compensation and tagged Medical Tourism, Workers' Compensation on March 10, 2013 by Transforming Workers' Comp.